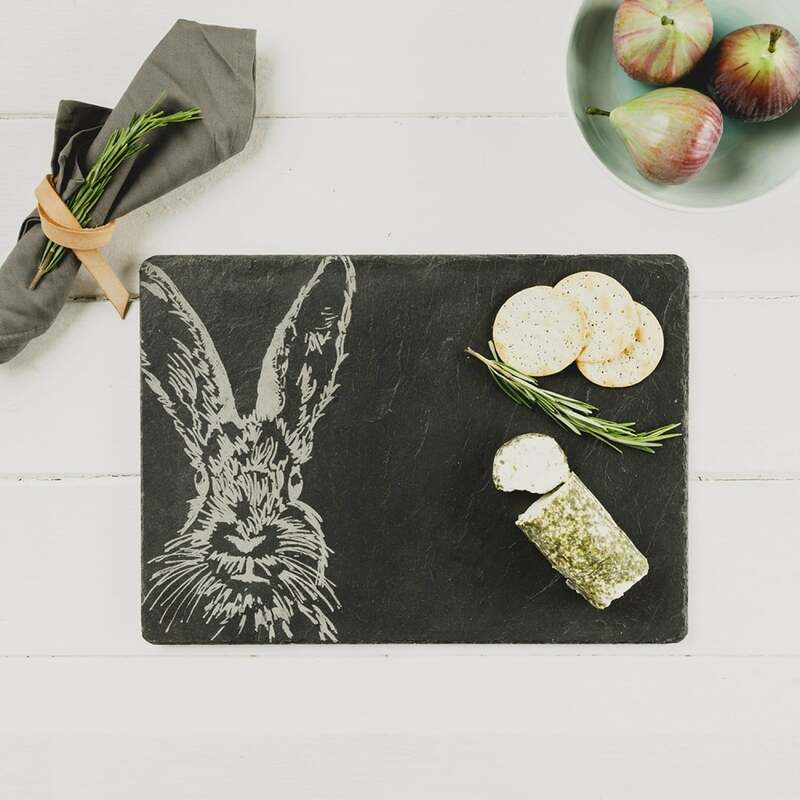 Present your favourite cheeses on our stylish engraved hare slate cheese board. 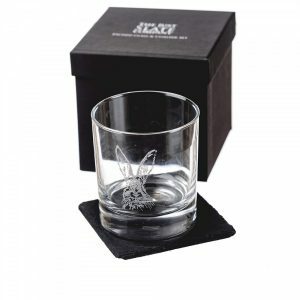 Hand cut in Scotland from high quality slate, it is not only extremely durable but has a versatile functionality and natural contemporary elegance. 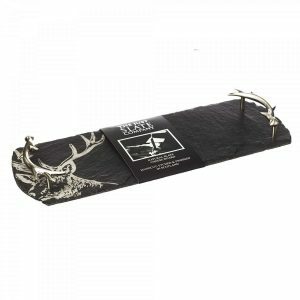 Our rectangular slate cheese board has been engraved with our hand-illustrated picture of a quirky highland cow which adds an extra element of style and fun. 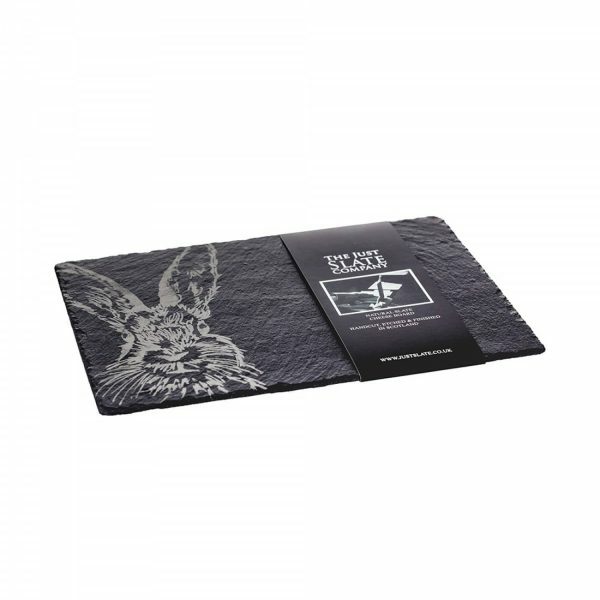 Present your favourite cheeses on our stylish engraved hare slate cheese board. 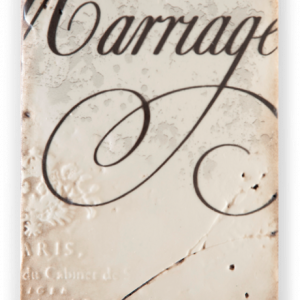 Hand cut in Scotland from high quality slate, it is not only extremely durable but has a versatile functionality and natural contemporary elegance. 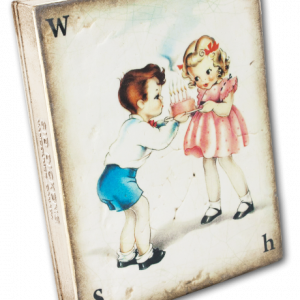 Our rectangular slate cheese board has been engraved with our hand-illustrated picture of a quirky highland cow which adds an extra element of style and fun.